The lawyer for President of the United States has publicly declared that Trump could kill a public official and not be indicted. I expect that under a dictatorship or in a two-bit banana republic, not in a nation where the rule of law is honored. Surely I am not alone in my outrage. When is this going to stop? It is time for us to decide what kind of country we want. 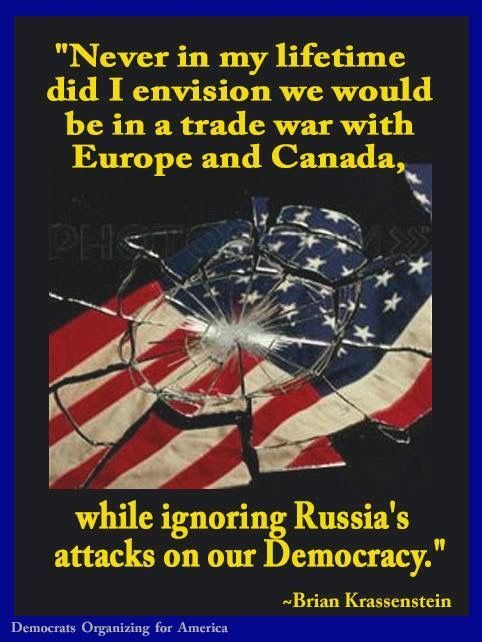 This entry was posted in Hunger & Poverty, News & Views, Quotes and tagged attacks, banana republic, Brian Krassenstein, Canada, China, country, democracy, dictatorship, Europe, indictment, killing, lawyer, lifetime, outrage, Russia, trade war, Trump on June 4, 2018 by Ray Buchanan. 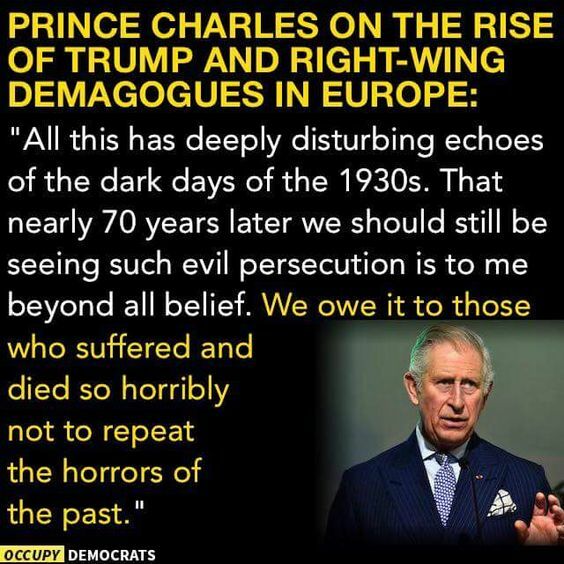 This entry was posted in News & Views, Quotes and tagged BLOTUS, demagogues, Europe, history, horrors, past, persecution, Prince Charles, quotes, suffering, Trump on March 2, 2017 by Ray Buchanan.